Welcome to Prague, the Capital of the Czech Republic. 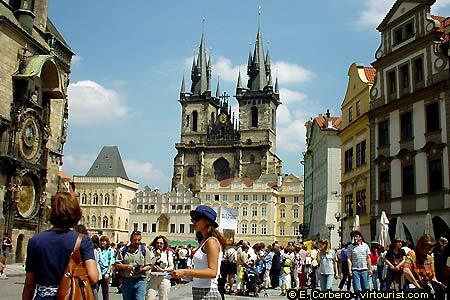 Praha (The name of the city in Czech) is known as the pearl of Europe for its beauty. Since the fall of the Iron Curtain the city is invaded every year by thousands of foreign visitors, which I am sure dont leave disappointed. If you come with me Ill try to show you some of the beauties that have made world wide famous this Bohemian city.